It's the gown Miss Bouvier chose for her 1953 nuptials to the future president. Toast and Strawberries has a fantastic description of the dress and the wedding. 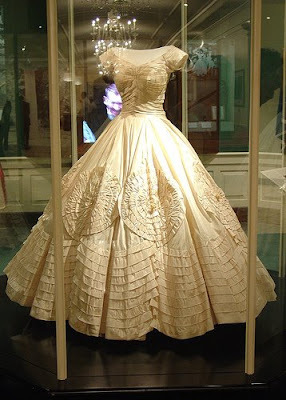 Now, more than a half century later, the dress is housed in the Kennedy Library in Boston, MA. So, now you know the story. Keep an eye out for our upcoming series on today's African and African-American wedding gown designers. This is great information! I had no idea Jackie O's dress was designed by an African-American woman. It is a timeless gown I can actually see someone wearing today!